Not all airlines are created equal and they all seem to have different procedures for getting on the plane. 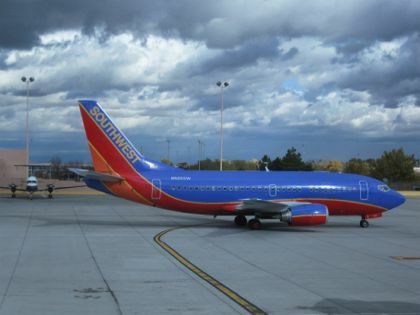 Here are the steps for the Southwest boarding process. The Southwest boarding process is very quick, easy and efficient. Don't forget to print your boarding pass before you leave for the airport. If that's not an option, you can print it at a kiosk once you arrive at airport or use their mobile boarding pass option. 1. First, locate your boarding group (A, B, or C) and your position (1-60) on your boarding pass. This is your position in line. 2. While you are in the boarding area at the gate, sit back and relax until boarding begins. 3. When your group is called, stand next to the column with your number on it and wait to proceed down the jetbridge. 4. Once you are onboard the aircraft, choose any open seat. Ten Minute Rule: Any passenger that fails to obtain a boarding pass and be present and available for boarding in the departure gate area at least ten minutes before the scheduled or posted aircraft departure time my have his or her reservation cancelled. How to Get a Priority Boarding Position: Southwest has an option when you purchase your ticket to get an preferred boarding status. When you book your flight, you can choose Early Bird Check-In for $12.50 per flight, per person. It’s a great option if you’ll be busy the day before you leave. Southwest's system will take care of getting you checked in. 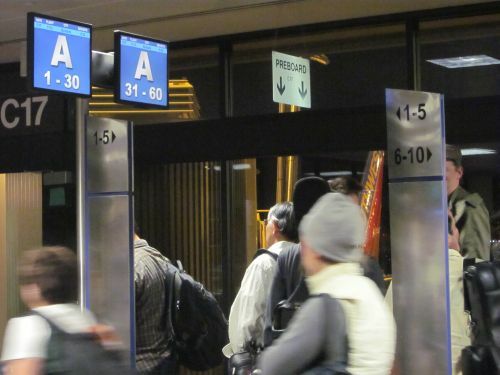 It is not a guaranteed “A” boarding position, but they do promise to get you checked-in before boarding positions are open to everyone else. Southwest Rewards: Don't forget to sign up for the Southwest Rewards program and use your rewards number when you book your flight. You can get additional miles when you get a Southwest Visa through Chase Card Services. When you apply for a SWA Visa and are accepted, you may be eligible to receive two free roundtrip Southwest tickets. I love the Southwest boarding process and think it is the best system for boarding used by any airline. Happy flighting!